BTG is an open source cryptocurrency that forked from Bitcoin with the difference that BTG has a more democratic and decentralized mining structure compared to Bitcoin. While Bitcoin uses ASICs where mining is carried out as a monopoly by big players, Bitcoin gold (BTG) uses GPU miners in which everyone is free to mine creating independence. As a result, the mining reward from bitcoin gold’s mining is distributed across the world thereby creating the network effect that used to exist in Bitcoin. Jack Liao is the main man behind the creation of Bitcoin gold alongside a team of 5 other people including a robust team of software developers who continue to update the platform. BTG launched its mainnet on the 12th of November 2017 after completing its testnet and has a total supply of about 17.1 million BTGs in the market. The primary purpose of creating BTG was for it to verify and validate Bitcoin transactions and decentralizing the mining of Bitcoin. The BTG team created Equihash as a proof-of-work algorithm, and it hopes that Bitcoin will adopt Equihash as well. BTG is a direct fork of Bitcoin but has inbuilt replay protection. The replay protection is essential in protecting users from malicious cyber-attacks and also prevents the replay of transactions which can cause loss of funds. BTG achieves transaction replay by invalidating transactions that are complete on one blockchain from being valid on any other blockchain. BTG also has unique address formats. It had to change its address format to avoid confusion with those of bitcoin. 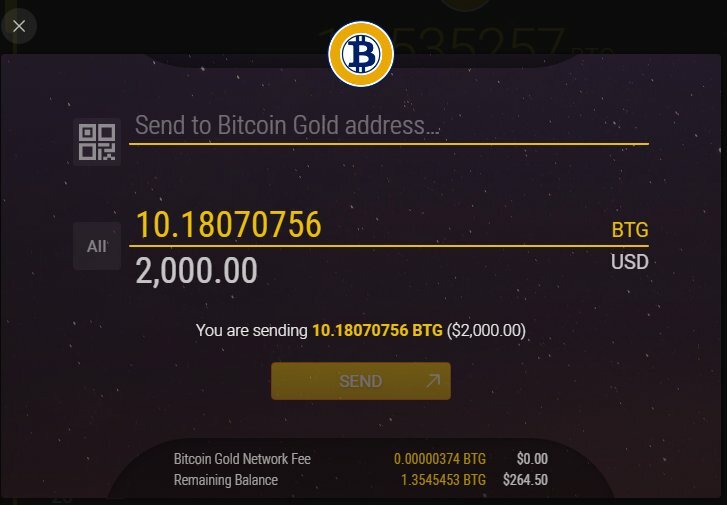 The unique addresses prevent the possibilities of transferring coins from bitcoin to bitcoin gold and vice versa. Furthermore, BTG has protection against big swings as it has a difficulty adjustment algorithm which prevents the deviation in the amount of hash power available which causes significant fluctuations in hash power. • With Bitcoin Gold, the mining difficulty differs between two different blocks while in Bitcoin mining the complexity increases with each block. 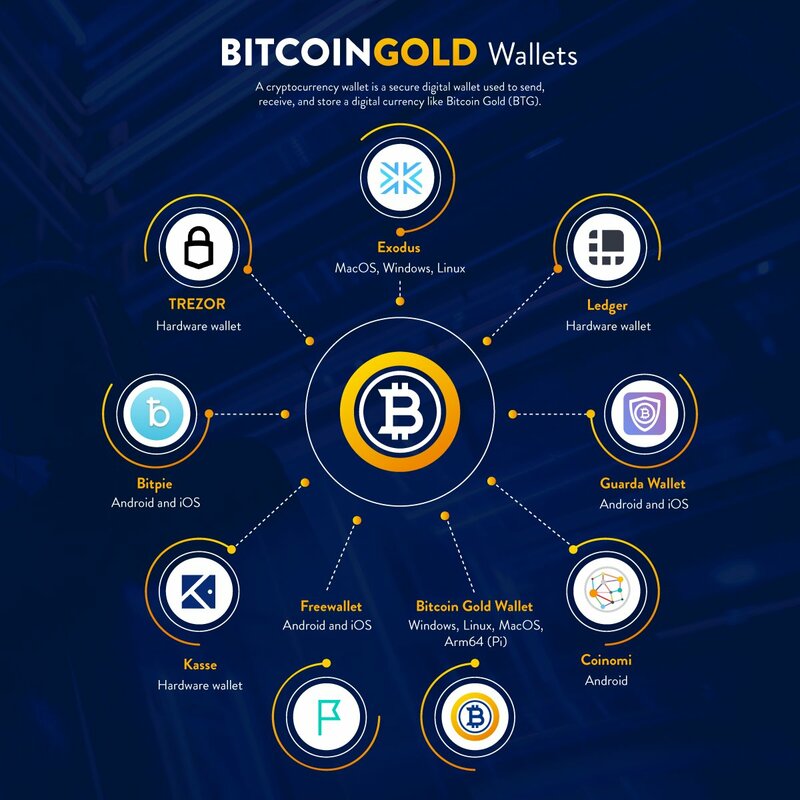 The purchase of bitcoin gold coins can be made through two methods; either through direct purchase using debit and credit cards or Swapping it with Ethereum. Direct purchase is a more straightforward way, but it is quite costly whereas it is cheaper to buy other currencies and exchange them for BTG which is time-consuming and complicated. As an investor, you should choose a method that suits your interests and that which will give you more value for your money. 1. Bitfinex– it is owned by iFinex Inc., a Hong Kong-based company. Bitfinex supports the BTC/USD and the BTG/BTC pairs only. 2. Binance– this exchange site allows investors to exchange Ethereum for BTG. It is one of the largest cryptocurrency exchanges in term of trade volume. 4. Coinnest– this is a Korean based exchange that allows the exchange between Korean Won and the Bitcoin Gold. It is paramount for any potential BTG investor to own wallet before purchasing any coin or at least create one while buying BTG. Below is a list of some of the wallets that you can use. The wallets also supports other coins. Ledger Nano S; this is the most common hardware type of wallet used by most cryptocurrency traders. Ledger Nano S supports BTG and buying one does not cost much comparing it to the security you will get. The wallet comes with a 24-word private key for safety. Bitcoin Gold core; this BTG Gold wallet allows investors to store, send, receive and mine Bitcoin gold. To use the bitcoin gold core wallet, a lot of your hard drive will have to get used since the entire blockchain has to be downloaded. Bitcoin Gold core is compatible with both Windows and Linux operating systems. Freewallet; this wallet allows users to store other currencies alongside BTG on a mobile application. The wallet is quite secure as it contains inbuilt cold storage that carries all the assets and is stored offline to keep it safe from hackers. Coinomi; this wallet offer support for more than 30 cryptocurrencies and the users are the ones in charge of their keys and their seed phrase. The wallet is available as an application for investors. Exodus; the exodus wallet is a software wallet that you can store on your desktop. The wallet is integrated with ShapeShift, allowing users to swap BTG and other coins without using exchanges. Any investor’s primary concern when it comes to cryptocurrency wallets is the safety provided by the wallet. If you are planning on storing a huge amount of BTG, the safest wallets to use are offline hardware wallets. It is important to note that one of the primary aims of Bitcoin Gold is for it to be used in making payments. For this process to be done, Bitcoin Gold investors have to own a BTG wallet. The wallet should contain some BTGs, and a valid destination address should be available. The following steps should be followed when making payments using Bitcoin Gold. I. You should begin by installing a compatible bitcoin wallet on your desktop or smartphone. The wallet will give you access to your BTG. II. Note down the recipient’s wallet address and make sure that you have all the correct characters of the wallet; the address is usually made of numbers and letters. Mistyping the address can lead to loss of your BTG coins. III. The next step is inputting the total amount of BTG that you wish to send; the wallet should contain enough funds to cater for the transaction costs and the amount being sent. IV. You can now press the send button on your BTG wallet, and the funds will be transferred to your recipient’s wallet within a few seconds to a maximum of ten minutes. NYDFS May Be More Open to Offe..